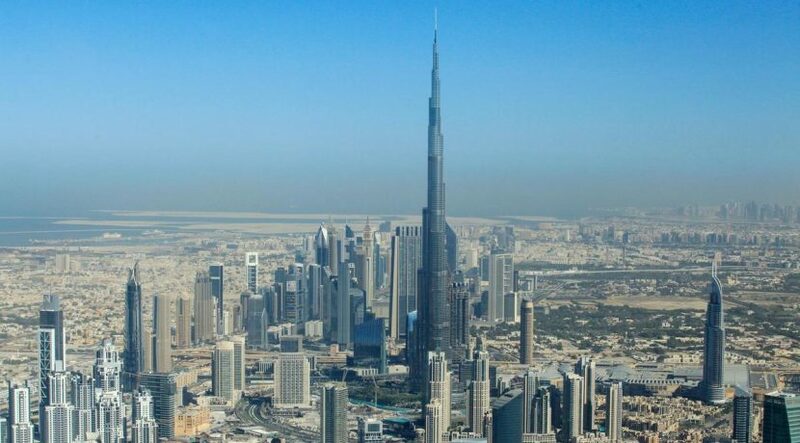 The UAE climbed 10 spots to 11th place in the World Bank’s annual ease of doing business ranking, following a package of reforms in the past year that boosted the country’s economic competitiveness. “A continuous and focused reform agenda keeps an economy competitive and vigilant,” the World Bank said as it published the 2019 report on Wednesday. “Two economies that enter the top 20 this year — the United Arab Emirates and Malaysia – have maintained such a reform momentum.” The UAE implemented four reforms in the past year, related to ease of starting business, getting electricity, registering real estate and gaining access to credit, the report said. The Emirates is the highest ranking economy in the Middle East and North Africa, and joins the World Bank’s top 20 ranking out of 190 economies for the first time. The country was trailed by developed countries with Sweden in 12th place, Canada (22), Germany (24), Spain (30), France (32) and Japan (39). The UAE made getting electricity easier by eliminating all costs for commercial and industrial connections of up to 150 kilo-volt-amperes (kVA), and was one of the countries to receive the top score possible in the electricity subcategory, according to the report. The UAE introduced or improved online procedures to help businesses start up, and made it easier to register property by increasing the transparency of the land administration system. It also strengthened access to credit by creating a register of moveable assets and making it safer for banks to lend money to businesses. In addition, over a longer period of time, the UAE has taken measures to modernise its judiciary, with better training for judges and arbitrators, the establishment of specialist commercial courts, electronic case management systems and the implementation of a new insolvency regime since the start of 2017. The new framework grants priority to secured creditors or allows for out of court enforcement, to strengthen the legal rights of borrowers and lenders, the World Bank noted in its report. “These efforts have had transformative and positive effects on the judicial system as a whole, but also in the areas of commercial litigation and insolvency specifically,” the report said. “The UAE has become a global hub for innovation, entrepreneurship and investment thanks to significant efforts made by the Federal Government and other local departments to create a world class business-friendly environment, enabling the country to vie with the best,” said Sheikh Mohammed bin Rashid, Vice President and Prime Minister, according to state news agency Wam. “[Any remaining] challenges will add to the government’s determination to introduce significant improvements into services and legislation,” he added. The World Bank’s ranking is determined by awarding 190 countries scores on 10 topics, including obtaining electricity, paying taxes, dealing with construction permits, enforcing contracts, protecting minority interests, availability of credit and other factors. New Zealand was the easiest place to do business globally, followed by Singapore and Denmark. This year’s top 10 countries that advanced the most based on number of reforms undertaken, are Afghanistan, Djibouti, China, Azerbaijan, India, Togo, Kenya, Cote d’Ivoire, Turkey and Rwanda. Within the top 20, Malaysia and Mauritius regained 15th and 20th place respectively. During the past year, Malaysia implemented six reforms and Mauritius five. The reforms in Mauritius included the elimination of gender barriers for starting a business. The lowest ranked economies are Somalia (190), Eritrea (189) and Venezuela (188). “The diversity among the top improvers shows that economies of all sizes and income levels, and even those in conflict can advance the business climate for domestic small- and medium-enterprises,” said Shanta Devarajan, the World Bank’s senior director for development economics, and acting chief economist. Governments must accelerate efforts to create the conditions for private enterprise to thrive, added World Bank Group president Jim Yong Kim.